This week is a pickup week for members registered for weekly and every other week Spring Vegetable Shares and Spring Egg Shares. 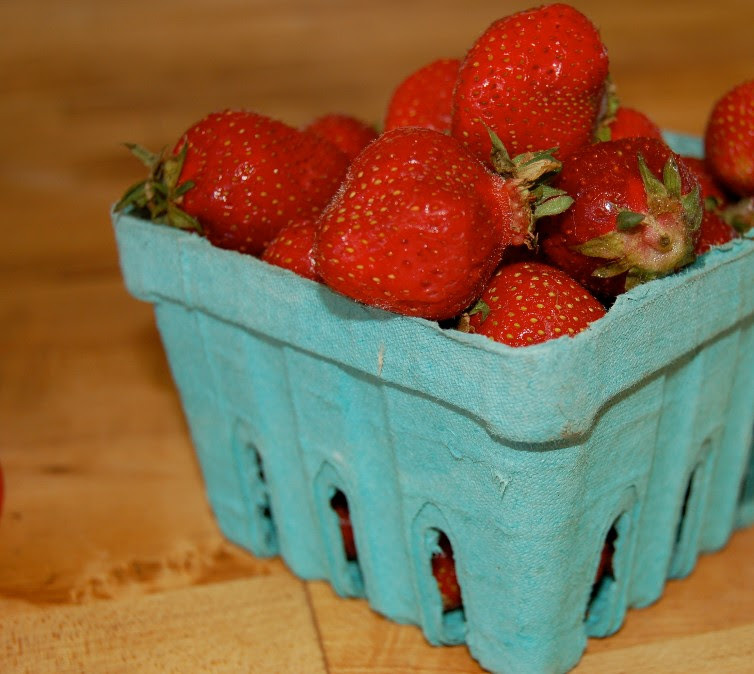 Early Summer Shares - Vegetable, Fruit and Egg Shares begin the week of June 25th. Early Summer Members: please watch your inbox for the informational email coming within a week's time. New Pickup Location! 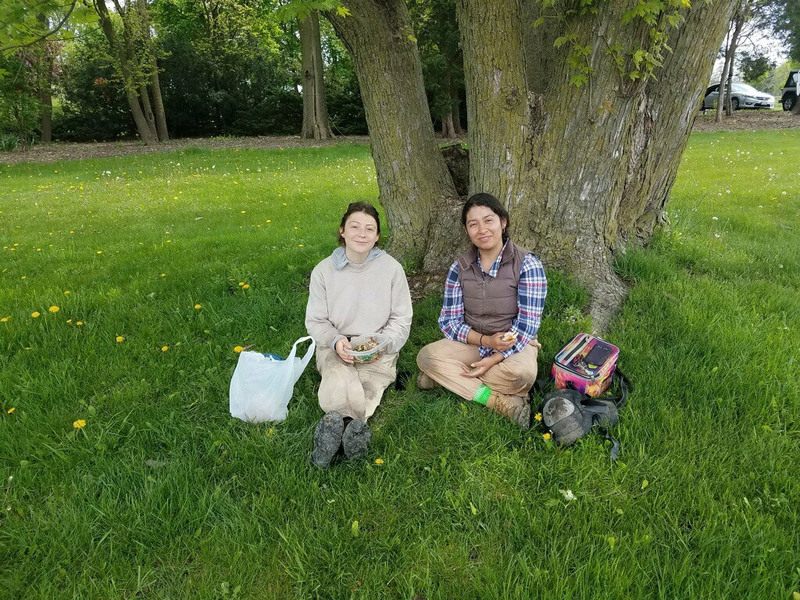 At the request of new members, we've added a pickup location in Buffalo Grove at the home of the Paunans, 11 Strathmore Court, Thursdays, 3:30-7:000pm starting with our Early Summer Share season. Please help us share the news with your friends and family in the area. Thanks! As farmers, there's are many things we relish about what we do each day and one of those things are the many people we meet along the way. 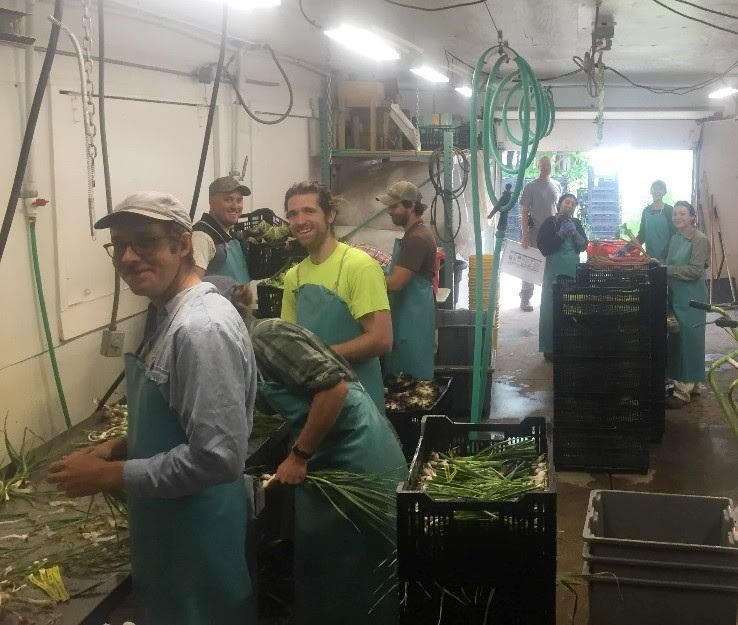 This season, we're thrilled to work with a great group of kind, hard working individuals with many of them returning to farm with us for their second, fifth and twelfth seasons. 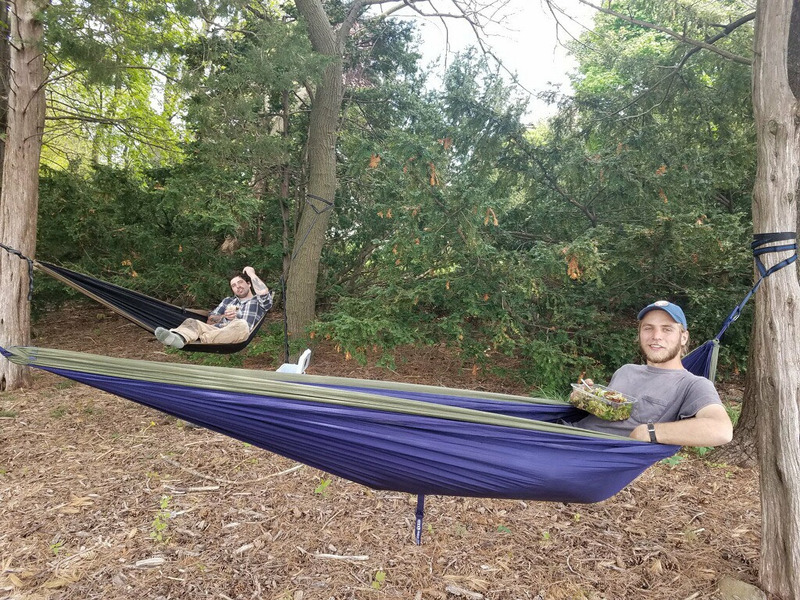 If you drive around the farm at lunch, you may find crew members taking a moment to share meals together, like Arlet and Ophelie enjoying the shade of the large maple tree, and Mark and Ryan enjoying a hammock lunch (and maybe event a short cat-nap) in the nearby woods. 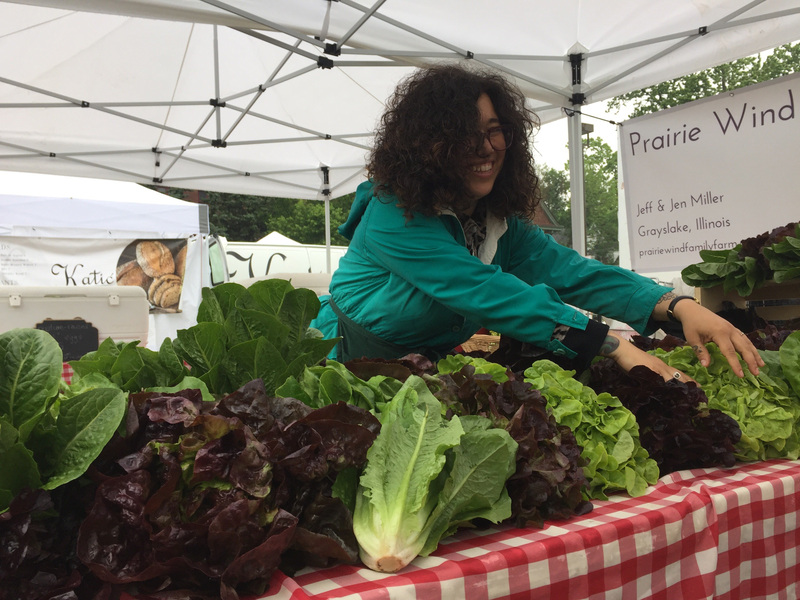 When you visit our Oak Park Farmers' Market stand, you may meet Ari. Ari is one of our long-time market stand staff members, who has an eye for designing a beautiful market display, great recipes and a witty sense of humor that keeps the stand a fun one to visit. On a busy farm morning, the crew works together on a variety of harvest, washing, bunching and packing projects. Sometimes it takes a village to get the all work done! We're grateful to get to know and work with our "village" on the farm, at our markets and on our delivery routes to bring fresh, healthy local food to you. Happy spring eating from all of us! 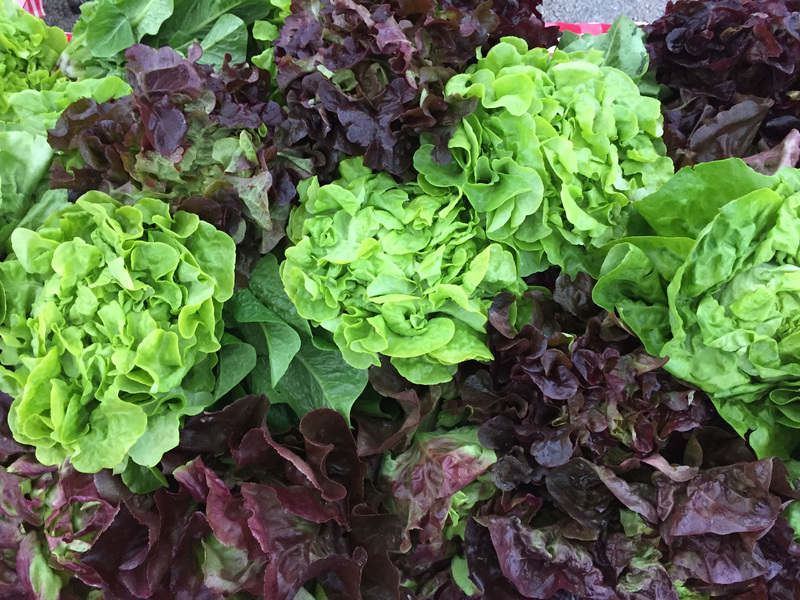 This spring's mixture of tender and crispy head lettuces was a productive one with the lettuce thriving in the recent cool temperatures and consistent moisture. As the warmer summer temperatures arrive, we will switch to a group of summer lettuce varieties that are better at tolerating heat without going to seed before we can harvest. This is beauty of seasonal eating -- cherishing the flavors, textures and colors within each season, as these tender greens don't stay around for long! Speaking of seasonal treats, this week's strawberries are the first of the season and each little gem is packed with flavor. The Wendy strawberry variety is one of the earliest to ripen and we recommend eating them quickly (which may not be a problem!) as they are best within the week of receiving them. If you like to preserve, simply rinse, lightly dry and place into a single-layer within a ziplock bag. While they may lose their texture in the freezing process, the flavor will remain and remind you of summer! Beets grow well on our farm. Throughout the season you will receive beets of all different sizes. 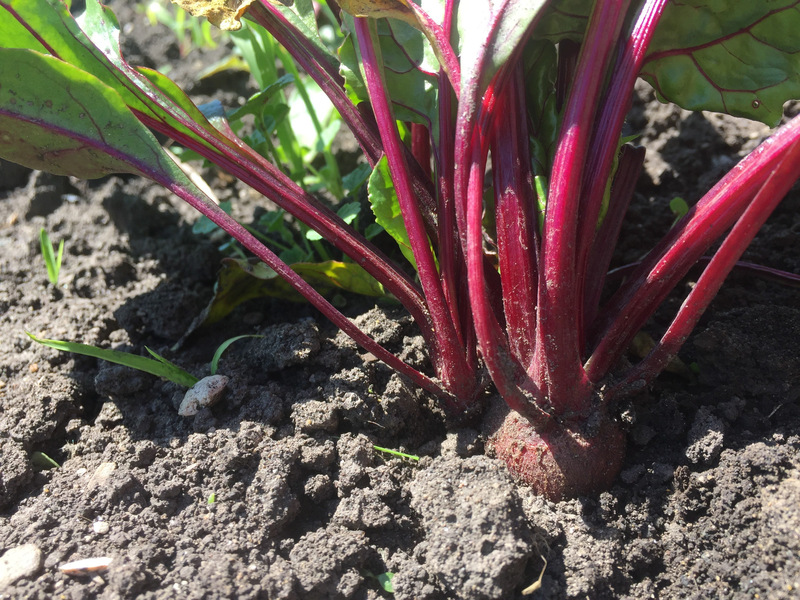 This week's beets happen to be baby to medium sized from our first planting in the field. Beets are closely related to Swiss chard. Like Swiss chard, beet greens can be used in place of spinach in many recipes. I'd encourage you to separate your beets from the beet greens when you get them home, and store the two separately. They should both be stored in a plastic bag and greens used within a week. 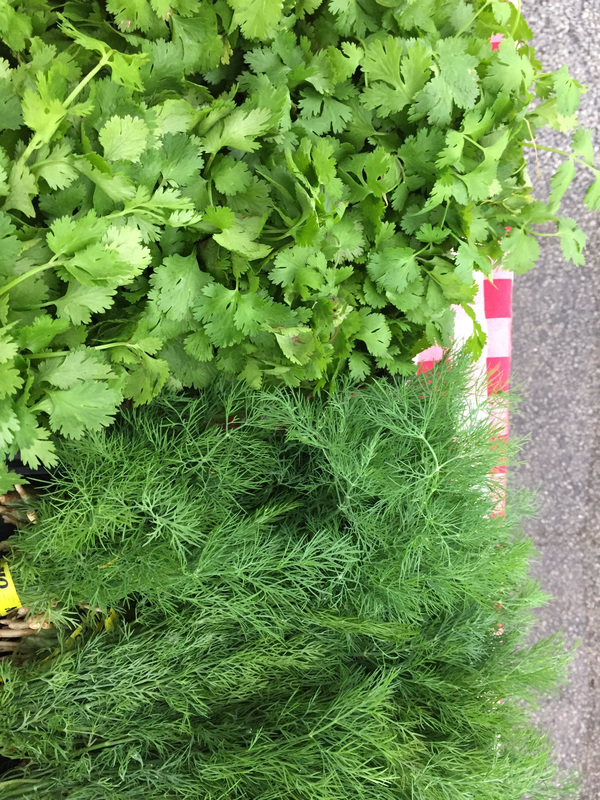 Cilantro and fresh dill are two fresh herbs that are used in frequent rotation within the farm kitchen because of their freshness in flavor and their nutritional benefits. Like many fruits and vegetables, cilantro is a good source of antioxidants and includes vitamins A and C. Dill is also abundant in vitamins A and C as well as minerals such as iron, folate, and manganese. When these herbs thrive, I tend to throw them into everything I'm cooking from fresh salads to warm dishes (dill is wonderful atop anything smokey or grilled!) to adding cilantro to a fresh, seasonal strawberry salsa. Chocolate Beet Cake - Beets add a delicious sweet richness to this cake. Fish Tacos with Strawberry Salsa - use thinly sliced scallions in place of chives and add a little cilantro to decorate! Thai Chicken Lettuce Wraps - I set up a fix-your-own-wrap bar and let the kids decorate! Most spring vegetables must be refrigerated in a plastic bag. Keeping these items in plastic helps prevent wilting. If lettuce or another tender vegetable appears droopy, soak it in cold water for a few minutes, shake off the excess water, and refrigerate in a plastic bag until it perks up. Also, we rinse all the vegetables here at the farm, but you should always wash them thoroughly prior to eating. Next Week's Harvest (our best guess)... basil, kohlrabi, zucchini, lettuce, strawberries and more!